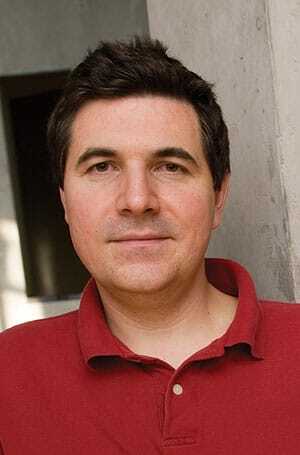 Petar Maksimovic received his PhD from Massachusetts Institute of Technology in 1998. After a postdoctoral position at Harvard University, he joined the Johns Hopkins University Department of Physics and Astronomy in 2001. Maksimovic is a member of the CMS experiment on the Large Hadron Collider, and his current research interests revolve around signatures of the physics beyond the standard model of elementary particles. In particular, he is interested in searches for new heavy particles that decay into standard model's heavyweights—top quark, W or Z bosons, or the newly discovered Higgs. If the new states are very heavy, then top, W, Z, or Higgs are often ultra-relativistic, and when they decay hadronically, the decay products form a single "jet." Maksimovic pioneered several of the techniques for identifying such merged jets, and used such "top tagging" and "W/Z/Higgs-tagging" in searches for physics beyond the standard model. Maksimovic has been selected as an Outstanding Junior Investigator by the Department of Energy, and a Sloan Fellow, both in 2004. In 2012, he also received the JHU Alumni Award for Excellence in Teaching.